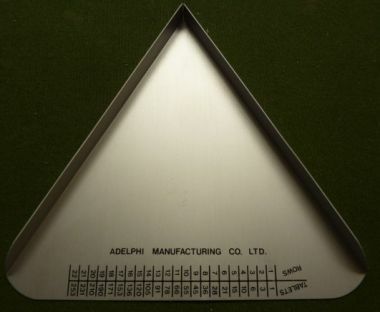 Adelphi aluminum counting tray for pills / tablets. 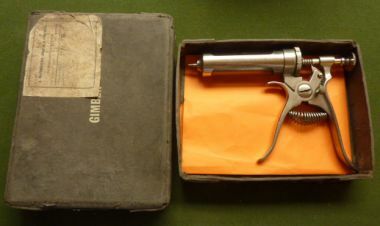 Antique enema / ear wax syringe. Antique Arnold & Sons brass enema / ear wax syringe. Antique Surgical needle packet , hagedorns ,1 dozen No 1 ,half curved needles. Antique Surgical needle packet , hagedorns ,1 dozen No 2 ,half curved needles. Antique Surgical needle packet , hagedorns ,1 dozen No 3 ,half curved needles. 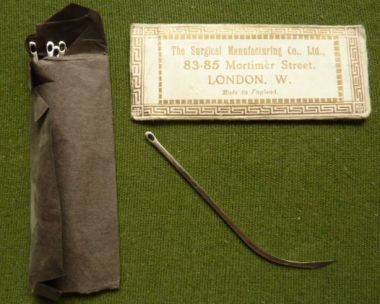 Antique Surgical needle packet , hagedorns ,1/2 dozen No 1 ,half curved needles.